Given the scientific consensus that wind turbines are not dangerous to human health, as opponents have claimed, it is time to shift focus to a real issue: fixing wind energy policy to increase community power in Canada. After extensive research and investigation, in Canada and globally, the consensus in the scientific community is that there is no direct causal link between wind turbines and adverse health effects. Scientists agree that the noise emitted by wind turbines ‑- the chief source of alleged health effects -‑ is basically indistinguishable from normal background sounds we experience in everyday life, whether we live in an urban or rural area. A March 2013 study released by Professor Simon Chapman of Sydney University, Australia, found that health complaints (if any) in Australia were much more common in areas where anti‑wind groups distributed health warnings claiming wind turbines could make people sick. The study concluded that the perceived health effects were a "communicated disease" that arose, not from the wind farms themselves, but from the power of negative suggestion or the "nocebo effect," the opposite of the placebo effect. Accordingly, as long as projects comply with appropriate governmental regulations, wind turbines are not harmful to human health. In fact, besides being a clean, non‑emitting source of energy, wind energy is one of the most harmless forms of energy production available. It is not surprising that many nations are revamping their energy policies to increase renewables like wind, especially in light of the Fukushima nuclear power plant disaster in Japan in 2011. So if health concerns are not an obstacle to wind power development, why the continued resistance from anti‑wind protesters? To dismiss objections as mere selfishness or "NIMBYism" is patronizing and fails to acknowledge that concerns are often based on very real issues. One serious issue is the need for more community power. Community power means locally owned renewable energy projects that are developed and controlled (entirely or in part) by people living in the community. Projects can be any size. Citizens have the opportunity to participate in developing green infrastructure where they live, by investing financially and through sweat equity, and they get to share the benefits, including the profits. Community power promotes local autonomy and democratic decision‑making while creating a stable revenue source for communities. It has been a key part of the shift to renewable energy production in Europe. "The Germans, like the Danes before them, have become renowned for not only integrating wind energy into the fabric of their communities but enabling … Bürgerbeteiligung or literally citizen-share ownership movement. And it has been a resounding success. In 2011 more than 50% of all wind-generating capacity in Germany was owned by its own citizens — directly." Negating the argument that big business is better suited to own and run wind power projects, clearly people are finding innovative ways of raising capital, sharing skills, experiences and best practices. 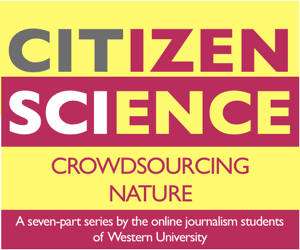 The community power movement is spreading in North America and around the world. In March 2013, Nova Scotia launched its first Community Feed‑in Tariff program. Created to support community ownership renewable energy projects in Nova Scotia, the province commissioned six 50 kilowatt turbines, which were built and will be run by Seaforth Energy, a Nova Scotia‑owned business. Although small scale, this is a step in the right policy direction. Under the second round of Ontario’s Feed‑in Tariff program or FIT 2.0, established under the Green Energy Act, 2009, community power advocates succeeded in getting a 10 per cent set aside of the available power grid capacity, being 25 megawatts, for community‑controlled groups. A hard-won victory, and, again, a small step in the right policy direction. With the close of the FIT application window in January 2013, the Ontario Power Authority has reportedly received about 80-megawatts worth of community‑based applications, or nearly four times the space on the grid that was set aside for communities under the program. This shows there is a strong demand for community power; however, the supply remains too small. Plus community power groups by their very nature are not faced with the kind of resistance to wind farm development that large companies face, which can cause delay and increase costs. Despite the potential to expand community power — and the public will to do so — due to the design of the FIT program, most wind power projects in Ontario are owned by large, private businesses. "The vast majority of Canadian wind power production is now controlled by a handful of large companies, many of them foreign owned, replacing community groups that were initially seen as the backbone of alternative energy production." The Globe reports that over 90 per cent of Canada’s 6,500 megawatts of wind power capacity is owned by private interests, approximately 25 per cent of which is foreign‑owned businesses. For instance, the U.S.‑owned company NextEra Energy Resources LLC will spend more than $2 billion in Canada before 2014. Mexican citizens face similar issues. With the rapid rise of wind power development, Mexican community power groups have reported that foreign‑owned multinationals are given priority access to connect to the power grid, while authorities make it nearly impossible for community‑owned power to gain access to the grid. Further, wind farms set up by multinationals in Mexico have led to protests from Indigenous citizens, who say they receive minimal financial benefits and demand greater control over the development process. It appears that the renewable energy policies in Mexico, rather than increasing access to resources and contributing to poverty reduction, may be instead perpetuating historical inequities. Increasing support for community‑owned power would help address this situation. Although wind power is growing faster than any other generation technology on the planet, public objections will likely persist until there is more community‑owned power. After all, it is only fair that farmers and local citizens should share in the wealth generated from wind power projects in their backyards. Current Canadian renewable energy policies fail to capitalize on the massive social potential of community power. Policies must be redesigned in order to give ordinary citizens more access to control and experience the benefits of the growth of the renewable energy sector. This should involve setting larger capacity set-asides for community groups, and offering incentives for community participation, such as tax deductible investments (e.g. RRSPs), which proved effective in Denmark. It could also require multinationals to invest part of their profits into community-owned wind power, as has been proposed in the United Kingdom. As more citizens become active participants and owners in wind power developments, Canadian communities, local economies and the climate are all strengthened. 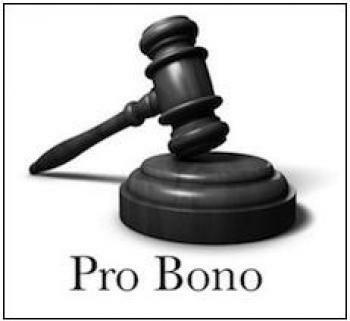 Note: Pro Bono provides legal information designed to educate and entertain readers. But legal information is not the same as legal advice — the application of law to an individual’s specific circumstances. While efforts are made to ensure the legal information provided through these columns is useful, we strongly recommend you consult a lawyer for assistance with your particular situation to obtain accurate advice. Submit requests for future Pro Bono topics to probono. Read past Pro Bono columns here.